Creative writing for books, blogs, news is not an easy task for the content writers and authors. It requisites discipline, caliber, focus and a lot of efforts to make content perfect. If you do any kind of writing on blog posts, articles, ebooks , you know how hard it can be to create ideas and transform your texts into something useful to your audience.So here some tools that can give your content more exposure and help you as well. These tools will be icing on the cake for you for sure. Never stop generating the ideas ever with these tools. Look at some tools for getting some smart and creative ideas. 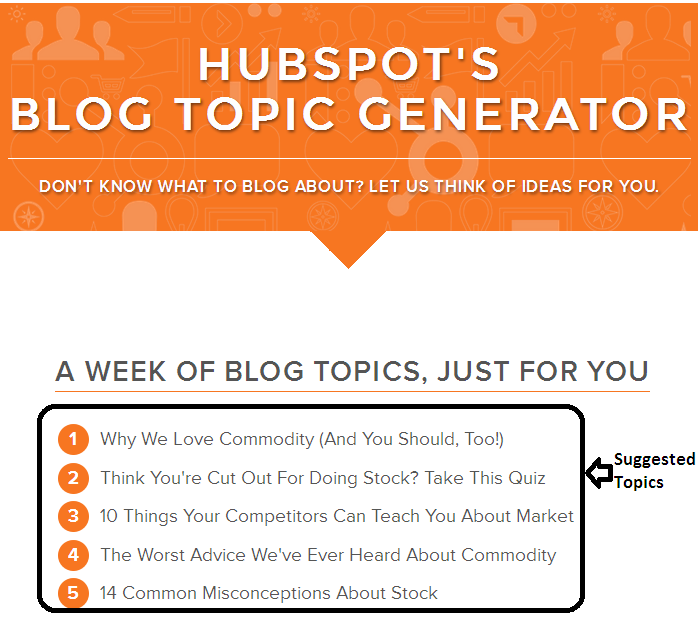 By this tool you can come up with an array of titles for your next blog post or presentation. In which you will find some funny and shocking, useful titles. 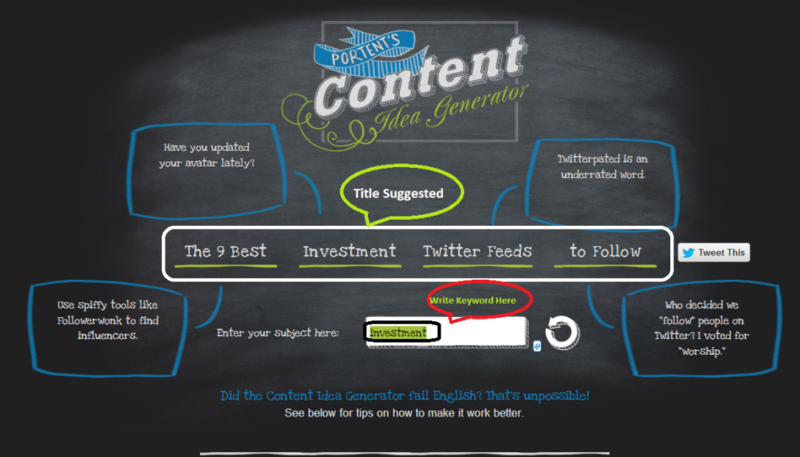 How to use Portent’s Content Idea Generator tool? Not a big deal at all. Just write a keyword or phrase on which you want to write and it will generate the title as well as offer tips for improving the content itself. Just see in the image below. 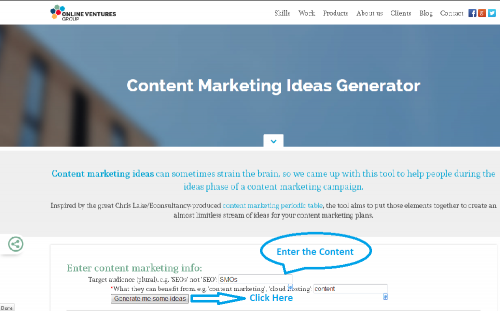 In this tool, enter a target audience and what knowledge will benefit them and then get the reward of 20 content marketing ideas. Just enter the nouns that you want to write about as your next blog topic or presentation and the tool will come up with a week’s worth of relevant blog titles. Enter a keyword in the search bar. 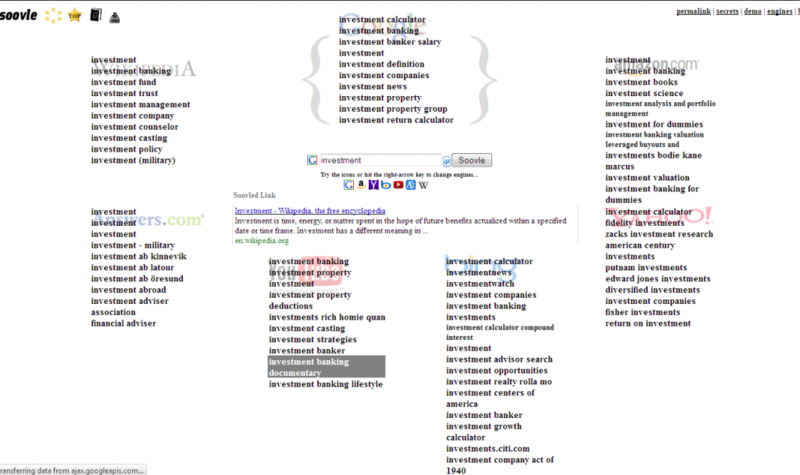 If you click on Soolve, you will get the most popular terms across a wide variety of search engines. This tool will show you the top 20 trending searches and displays them in an amazing manner, live animation. 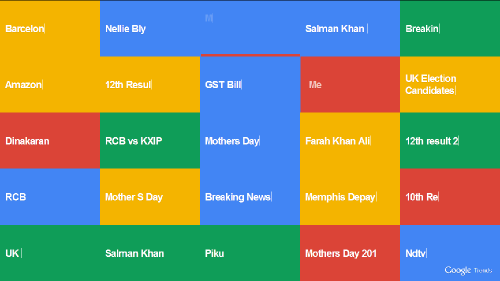 You can click on a trend and see the related Google search results. This was all about the tools that can help you in generating unique content ideas. If you have any query regarding the post or you find this helpful for your then please mention in the comments.